The Details: Directed by Josie Walsh and Jo Matos, at JBS' New York City ballet intensive you'll spend up to seven weeks diving into both classical and contemporary ballet. Each week you'll learn from different faculty members—like Desmond Richardson and Dwight Rhoden—building a strong and versatile base so you'll be ready to tackle any new choreography that might be thrown at you in a company setting. In the final week, the program culminates in a huge professional-grade performance at a theater in NYC. The Details: Over the course of up to three weeks, you'll explore a variety of styles like breaking, freestyle, house, jazz/funk, popping and locking, and learn from top artists like Candace Brown, Ms. Vee and Charles Smith. You'll participate in a giant flash mob, and dance in a music video. Plus, the intensive ends with a showcase, in partnership with Shake The Ground dance competition. The Details: At this one-of-a-kind musical theater intensive, dancers live in New York and get a behind-the-scenes look at a different Broadway show each week. You'll be taught by the cast, getting intensive training in dance, acting and singing, and at the end of the week you'll attend the show and meet the performers backstage. Students in the program also learn from top Broadway vocal coaches, and meet agents and producers. This summer's shows include Mean Girls, Frozen, Wicked and Phantom of the Opera. This year, the five-week program culminates in a performance commemorating the program's fifth anniversary, where students will perform alongside Broadway stars. The Details: In JBS' newest one-week intensive, you'll be taught by performers and coaches from Cirque, in the heart of Vegas. You'll explore all aspects of the circus arts, including acrobatics, aerial, clowning and juggling. 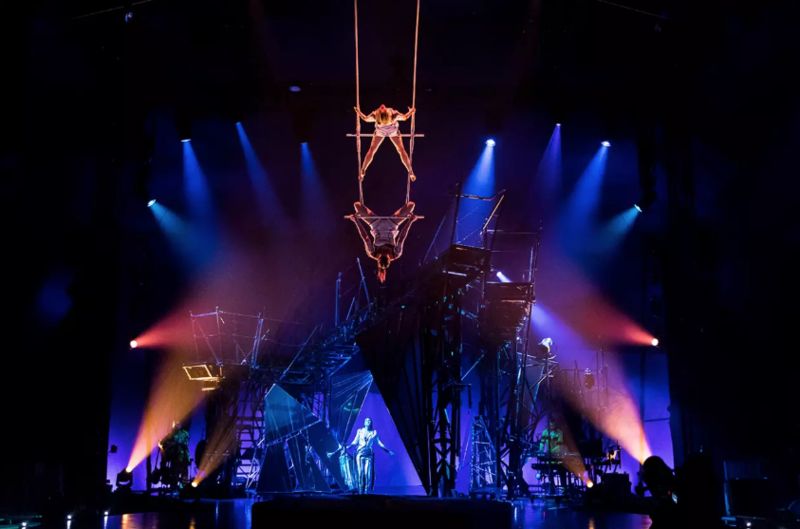 Tiffany Baker, the dance supervisor for Cirque's Michael Jackson One show in Las Vegas, is the program's official Cirque consultant, and will help connect dancers to the people who are hiring for Cirque's various shows. The Details: If you want to rock the commercial dance scene and score gigs on television and film, L.A. is the place to be. This well-rounded program, which runs up to three weeks, features classical and contemporary ballet in the morning, with jazz, improv, hip hop and modern repertory in the afternoon. The wide variety of courses will give you a strong and versatile background, and at the end of the intensive you'll rehearse with top choreographers and give a final performance at California State University, Northridge. The Details: Though you'll study classical ballet too, this intensive has a strong focus on contemporary techniques, led by a roster of faculty members from all over the world, who have danced with companies like Ballet West, Nederlands Dans Theater, Alvin Ailey American Dance Theater and Complexions Contemporary Ballet. You'll take classes in pointe, variations, improv, contemporary, partnering and repertory, plus have rehearsals with professional choreographers. At the end of the three-week program, students who stayed for at least two weeks will perform in San Francisco State University's McKenna Theatre. The Details: In this one-week program, not only will you focus intensively on tap technique and repertoire, but you'll also learn tap history from contemporary masters, and gain a broader understanding of the significance the art form holds today, and where it came from. Your courses will cover many different tap styles and techniques, like soft-shoe, clogging, buck and wing, jazz tap, rhythm tap, Broadway tap and funk tap. Master faculty include Samara Seligsohn and Felipe Galganni.